If you are looking to book a charter bus for a captivating trip in DC or wish to give a professional touch to your key business conventions by traveling with your collogues in our executive coaches to and from your offices, you have arrived at the right place! With DC Charter Bus you can hire a charter bus for affordable group transits anytime and everywhere in DC, be it an educational school field trip or for transportation of your guests to an important ceremony or occasion. We have the lowest and unbeatable charter bus cost for all your events without any compromise on the superb quality and service standard delivered by our professionals who take care of all your requirements the moment you book your transfers with us. 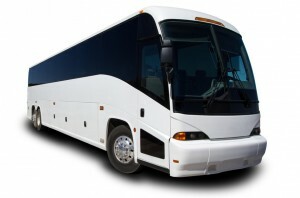 At www.dccharterbus.com you can choose from a variety of options we present before you with a guarantee of value for money on top of a self indulging and opulent experience you can ever get anywhere else. Why Choose Our Charter Buses? Our charter buses provide various advantages for economical, safe and secure group transportations through the busy city of Washington DC with an option for entertainment features like TV, music system and lights. All our buses are well-maintained, spacious and comfortable to accommodate up to 50 passengers. Travel in luxury through the beautiful city of Washington DC with our highly experienced drivers well-trained to serve you in the best way taking you safely to your destination on time. They are all certified professionals with years of experience to make you feel extremely special and highly valuedso as to build a long term successful relation with you. You will find that our charter bus cost as compared to all this is nothing but a token of appreciation for our great effortsto please our valued customers. How to Avail a Cheap Charter Bus Service? 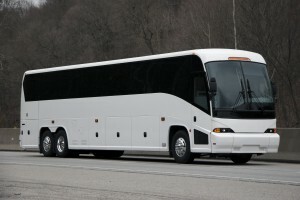 To book your charter bus, all you need to do is to fill our online form available at our website www.dccharterbus.com selecting the date and time of your travel and the type of charter bus you desire to hire. Also mention the pickup and drop off locations along with the length of time you wish to make your booking for. Press the “Get Quote” button and here you go! You will be amazed to find our charter bus cost to be exceptionally low as compared to the extremely high value of service quality you are offered to get. We have been able to keep our prices this low, because of our huge ability to accomplish economies of scale in this business due to our years of presence and huge set up in the transportation industry benefitting our customers as well as rising above the horizon as time passes. Motor coach, also referred to as a deluxe motor coach, charter bus or a tour bus has a capacity to accommodate large groups for long travels. To get your free quote today, visit our website www.dccharterbus.com or call us at (202) 765-2351 and get the best charter bus cost from our representatives available 24 hours a day and 7 days a week. You can also write us your query at info@dccharterbus.com and get an instant response matching your requirements along with the best advice for an opulent travel experience. You are most welcome for a visit to our office, located at 700 12th Street NW, Suite 700 Washington, DC 20005.